Recently, I’ve been neglecting my blog. I have turned my attention away from my computer and toward some much needed home improvement projects. 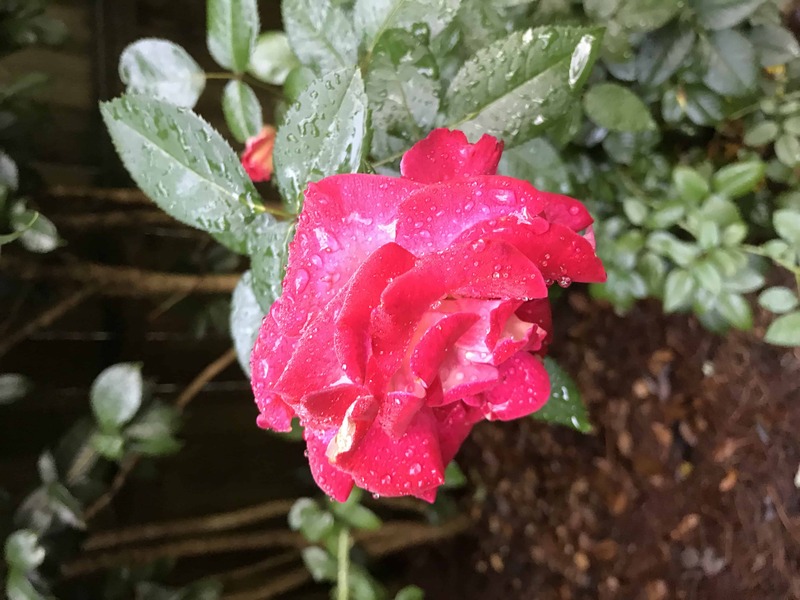 Last year, I juggled writing my blog with time spent on clients, time on the business of running a business and time attending to home improvements. The past few months, honestly all of this year, I have devoted more time to my clients, running my business, and home improvements. I completely neglected this blog. So, I thought I would give you an update. As I think many of you know, I moved into my house a couple of years ago. As it is with any house there were a few things I wanted to change. Thinking about my priorities, I made a list and have been tackling this list one item at a time. I started with the backyard. I’m a gardener at heart and I have two dogs: Miles and Josie. I had to have a safe place for them to be outside and a place for me to play in the dirt. My first priority was to remove the ivy and fence the backyard. That was done right away. 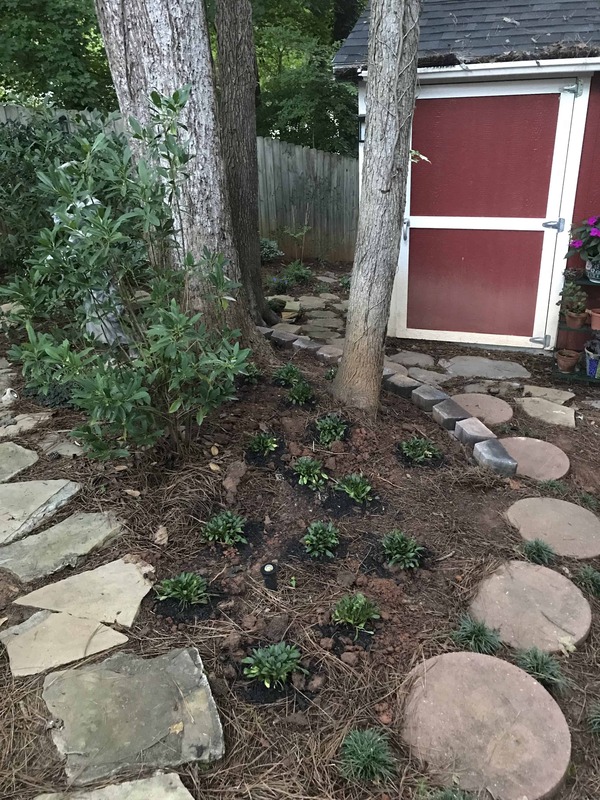 I spent weekends and some afternoons planting, pruning, and installing hardscaping – walkways and retaining walls. Now, I have a gorgeous (if I do say so myself) garden. 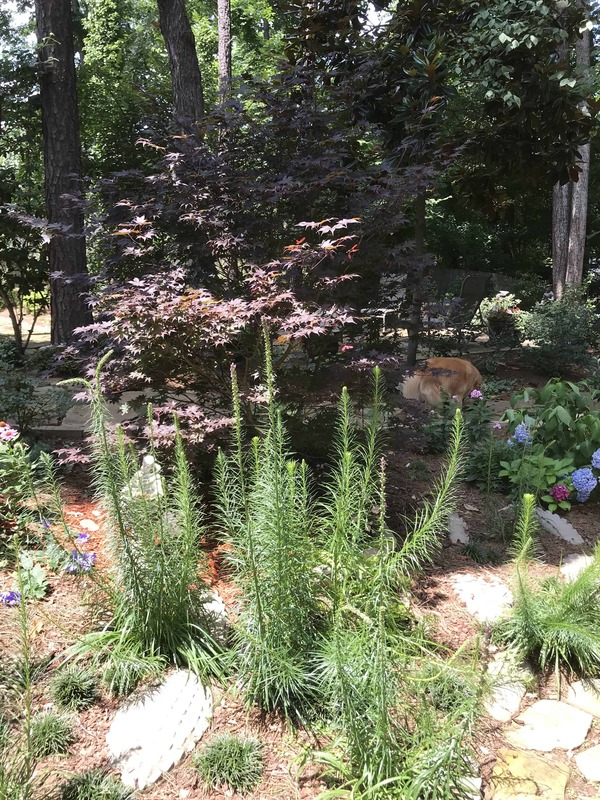 I get lots of enjoyment out of creating beautiful spaces in my garden. My next project was to paint the inside of my house. My kitchen was dark brown which didn’t appeal to me. I hired a painter to paint the kitchen green and the other rooms in the house and variety of complementary colors. I love the way it looks. All the rooms have a calm and serene look about them which is what I wanted. After painting, I turned my attention to my office. The room I’m using as an office was supposed to be a bedroom. The closet was set up to be a clothes closet. I wanted to use it as an office supply closet. This was an easy change to make by simply adding a few shelves. 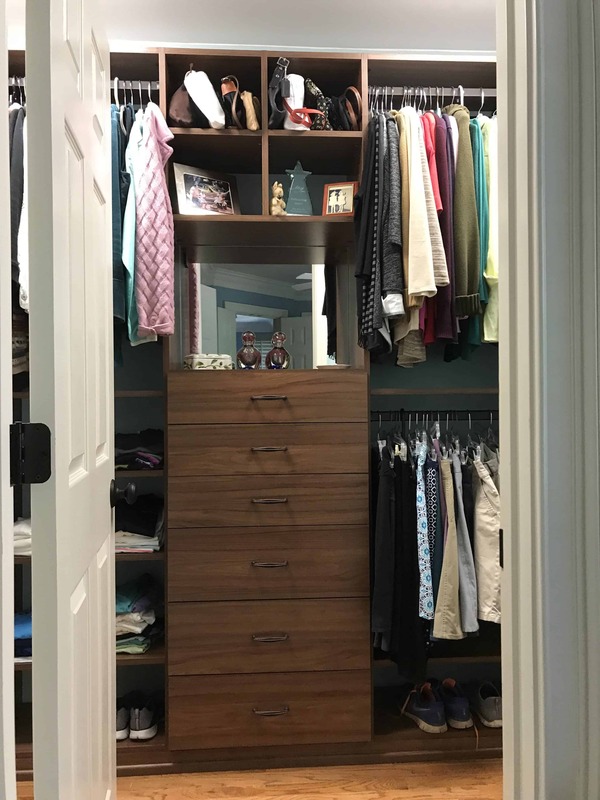 I knew from the moment I saw my bedroom closet that I eventually wanted to change it around but I wasn’t sure what changes to make. I’m lucky because it is a big walk-in closet, however; it was poorly laid out with only hanging rods and wire shelving. I took my time and looked at several different closet designs. Finally, I found a design that fit my budget and my needs. A friend of mine and I removed all the shelving, patched, and painted the closet. This meant that for a few weeks my clothes were in the guest room closet (which is very small) and piled on the bed in the guest room. That was very hard for me. It made me feel as if I was disorganized which was unsettling. Last week my new closet was installed. It’s perfect! In fact, there is more than enough space for me and my things. I’m back to feeling organized again and balanced. A much better feeling. My last project is to renovate my kitchen. This means the entire kitchen is being gutted. The current layout is horrible. I can’t open the oven if the shutter on the window is ajar. Something that is going to change! I plan to set up a temporary, make-shift, kitchen in the family room with my coffee pot and a toaster oven. The refrigerator is going into my garage. I think the dogs and I will be fine. I’ll probably be eating lots of salads and ordering out. It’s an exciting time for me as make these changes in my home. I’m loving the results. It’s time, though, for me to turn my attention back to engaging with you on my blog. I’m curious. Have you ever consciously turned away from something, put something on hold, so that you could focus more intently on something else?